NFL Podcast: Which teams are lying ahead of the draft? The sun is shining, the flowers are blooming and spring has sprung across America. Not only is it allergy season, but it's also lying season – the opaque time of year where every NFL owner, coach and GM is playing a hand of mental poker against their 31 competitors. It's up to the media and NFL fans to figure out what rumors are fact and what rumbles are fiction. Remember, this time last year it was an absolute lock that Sam Darnold would be a Cleveland Brown. To guide you through the muddy waters of lying season, Charles Robinson and Terez Paylor are running through some of the major storylines that America is blindly accepting to be true and discussing the likelihood that these rumors are giant, Darnold-sized lies. 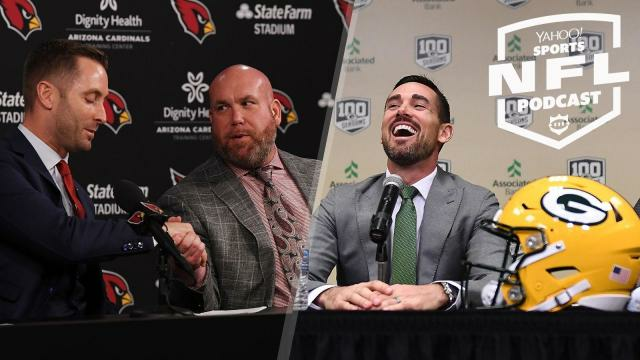 But before they can get to that, they talk the Seattle Seahawks, Russell Wilson, his shiny new $140 million contract and what that contract says about future deals for Dak Prescott and Patrick Mahomes (2:05).